Engine hours are an estimate only. Originally advertised by Beneteau as "A yacht for ocean-going cruises but perfectly at ease amongst the finest Admiral's Cup fleet, daring to be faster than the one-off IOR 50 footers" With a hull designed by Bruce Farr and styling by Pininfarina this stylish yacht is a lot of boat for a relatively small amount of money. The First 53F5 is an impressive yacht, even twenty years on, with style, comfort and performance, whether cruising with the family or racing fully crewed. Kings Cup, Raja Muda and Neptunes regatta winner multiple times. 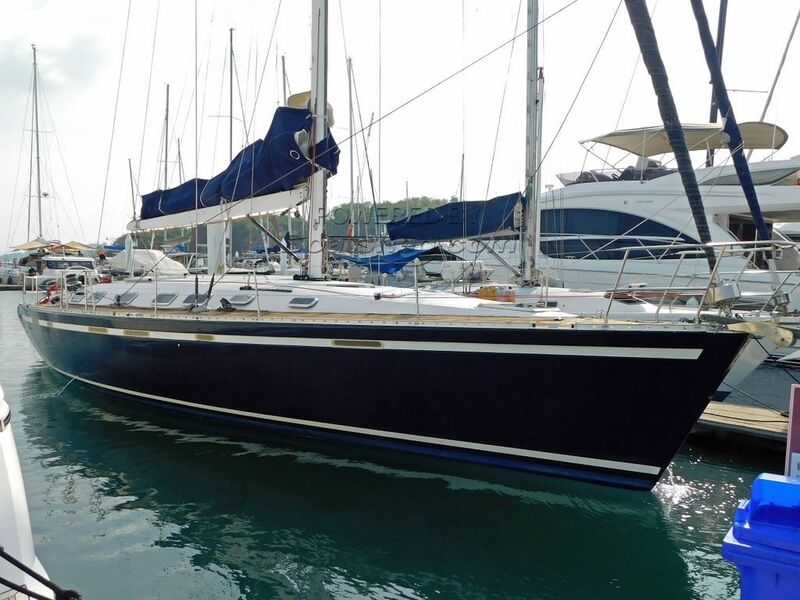 This Beneteau First 53 F5 Cruiser / Racer has been personally photographed and viewed by Alan Giles of Boatshed Phuket. Click here for contact details.